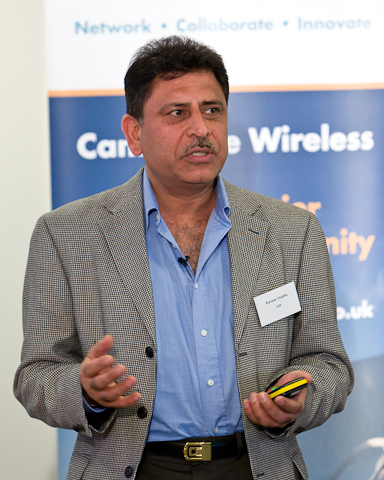 Cambridge Wireless, a world renowned networking organisation held a one-day conference entitled “Who Goes Where? Privacy & Location based Services” on 23rd March 2011. The organisation has a number of Special Interest Groups including ‘Location based Systems SIG which championed this event. The conference was sponsored by CSR, one of the Founding Members and a leading global provider of personal wireless technology including Bluetooth, FM, GPS and WiFi. Kanwar Chadha presented the keynote speech, Chief Marketing Officer and Board Member of CSR and entitled “Relevant Location” in a Location Aware Connected World. More and more applications are being developed where location is starting to add context to a broad range of information, with an increasingly large amount of data in ‘the cloud’ accessible globally, brings up issues of privacy protection.